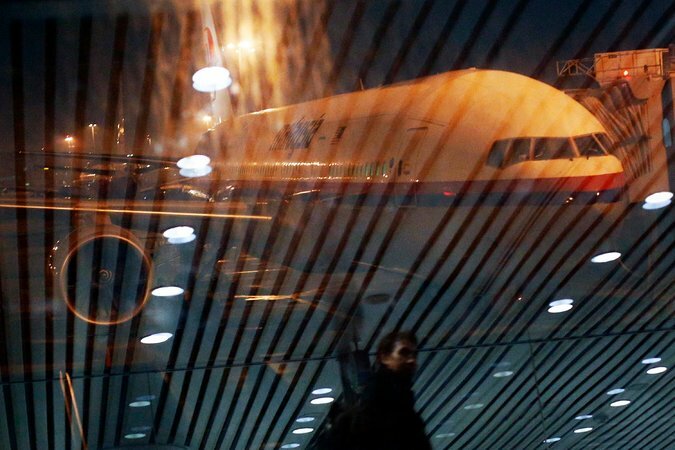 WASHINGTON — The first turn to the west that diverted the missing Malaysia Airlines plane from its planned flight path from Kuala Lumpur to Beijing was carried out through a computer system that was most likely programmed by someone in the plane’s cockpit who was knowledgeable about airplane systems, according to senior American officials. The fact that the turn away from Beijing was programmed into the computer has reinforced the belief of investigators — first voiced by Malaysian officials — that the plane was deliberately diverted and that foul play was involved. It has also increased their focus on the plane’s captain and first officer. +40 min. Last contact with civilian radar. +1 hour 34 min. Last contact with military radar. +7.5 hours Red arcs represent possible positions of plane when it transmitted last signal to satellite. Plane may have flown up to another hour after its last satellite transmission. On Tuesday, the Chinese ambassador to Malaysia, Huang Huikang, told reporters that the Chinese government had ruled out suspicions of the Chinese on board, who made up about two-thirds of the 227 passengers, according to Chinese news organizations. Prime Minister Najib Razak of Malaysia told reporters on Saturday that his government believed that the plane had been diverted because its transponder and other communications devices had been manually turned off several minutes apart. American officials were told of the new information over the weekend. 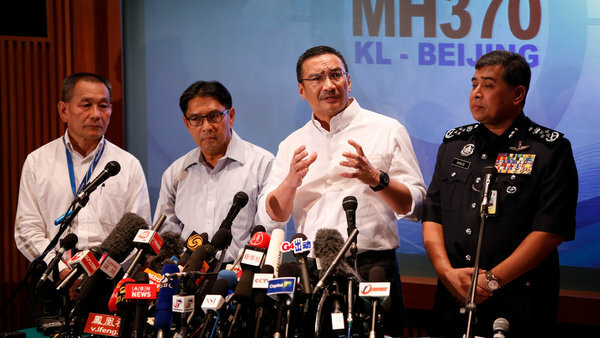 But the Malaysian authorities on Monday reversed themselves on the sequence of events they believe took place on the plane in the crucial minutes before ground controllers lost contact with it early on March 8. They said it was the plane’s first officer — the co-pilot — who was the last person in the cockpit to speak to ground control. And they withdrew their assertion that another automated system on the plane, the Aircraft Communications Addressing and Reporting System, or Acars, had already been disabled when the co-pilot spoke. The chief executive of Malaysia Airlines says it is unclear when the missing plane’s communications system, known as Acars, was switched off. 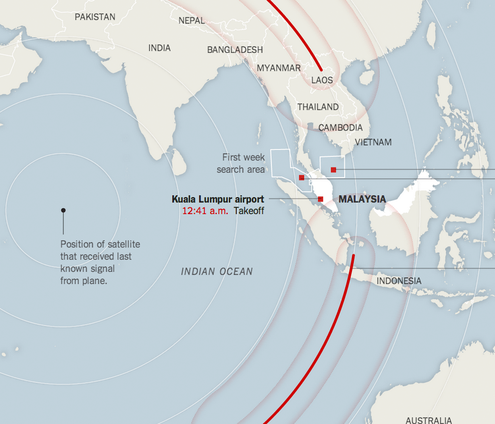 Investigators are scrutinizing radar tapes from when the plane first departed Kuala Lumpur because they believe the tapes will show that after the plane first changed its course, it passed through several pre-established “waypoints,” which are like virtual mile markers in the sky. That would suggest the plane was under control of a knowledgeable pilot because passing through those points without using the computer would have been unlikely. 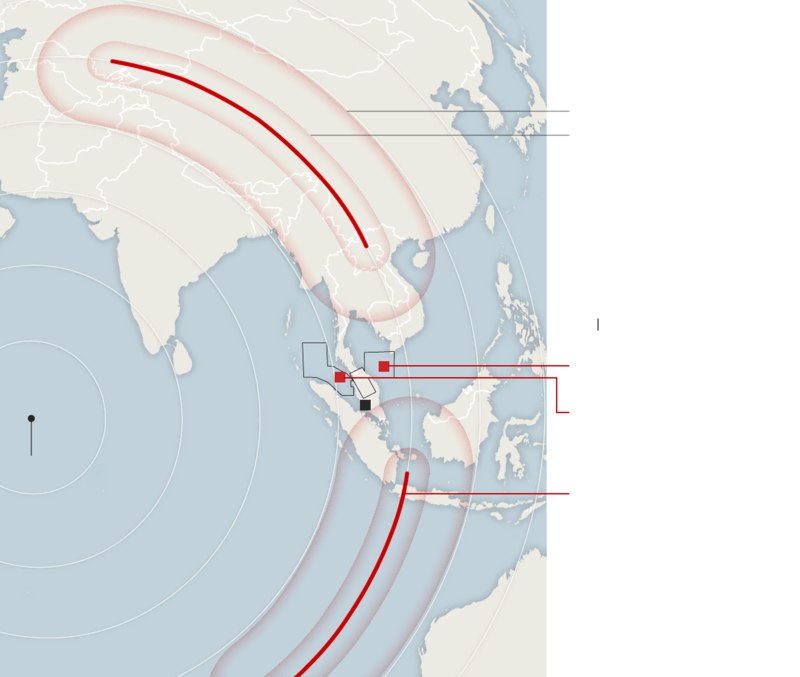 Maps and diagrams showing how investigators are piecing together the path of the missing plane. Whoever changed the plane’s course would have had to be familiar with Boeing aircraft, though not necessarily the 777 — the type of plane that disappeared. American officials and aviation experts said it was far-fetched to believe that a passenger could have reprogrammed the Flight Management System. Normal procedure is to key in a five-letter code — gibberish to nonaviators — that is the name of a waypoint. A normal flight plan consists of a series of such waypoints, ending in the destination airport. For an ordinary flight, waypoints can be entered manually or uploaded into the F.M.S. by the airline. The main communications systems of the Malaysia Airlines plane were turned off about 40 minutes into the flight, forcing investigators to try to piece together the plane’s location from other systems. Air traffic controllers typically know a plane’s location based on what is called secondary radar, which requests information from the plane’s transponder. A plane also uses radio or satellite signals to send regular updates through Acars, the Aircraft Communications Addressing and Reporting System. Both of those systems were turned off. Two Malaysian military radar stations tracked a plane using primary radar, which sends out radio signals and listens for echoes that bounce off objects in the sky. Primary radar does not require a plane to have a working transponder. If Acars updates are turned off, the plane still sends a “keep-alive” signal, that can be received by satellites. The signal does not indicate location, but it can help to narrow down the plane’s position. A satellite picked up four or five signals from the airliner, about one per hour, after it left the range of military radar. Both Bloomberg News and ABC News previously reported on the programmed turn. “There’s an inconsistency in what we’ve seen historically,” he said, comparing the disappearance of Flight 370 with two murder-suicides, on an Egyptair flight off Nantucket Island in 1999 and a SilkAir jet in Indonesia in 1997. In those crashes, he said, the pilot involved simply pushed the nose of the plane down and flew into the water. The authorities searched the homes of the pilots in Kuala Lumpur on Saturday, seizing a flight simulator that one of them had in his home. As the search for the missing jet stretched into a 10th day, two of the nations helping in the hunt, Australia and Indonesia, agreed to divide between them a vast area of the southeastern Indian Ocean, with Indonesia focusing on equatorial waters and Australia beginning to search farther south. To the north, China and Kazakhstan checked their radar records and tried to figure out whether the jet could have landed somewhere on their soil. The Pentagon said Secretary of Defense Chuck Hagel had told his Malaysian counterpart that the Navy had sent additional aircraft to search in the Indian Ocean. Chris Buckley and Keith Bradsher contributed reporting from Sepang, Malaysia, and Edward Wong from Beijing.